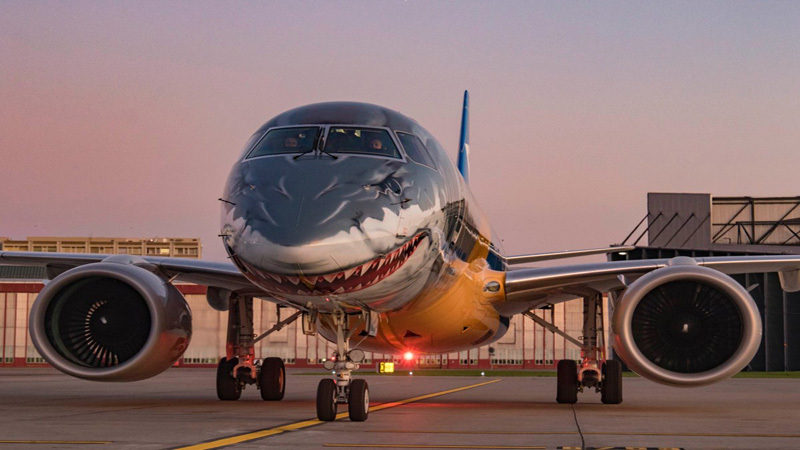 As part of its tour around the region, World’s most efficient single aisle commercial jet Embraer’s E190-E2 arrived at Hazrat Shahjalal International Airport on Thursday morning. The E-Jets E2’s value proposition in the Asia Pacific region is its ability to enable airlines to sustainably develop more routes secondary or tertiary cities. These are routes that can potentially bypass the major metro airports such as Manila, Jakarta, Bangkok, New Delhi and Mumbai which are heavily congested. This enables airlines to achieve sustainable growth without being constrained by infrastructure bottlenecks, while offering passengers improved services with more non-stop flights. Embraer is the leading manufacturer of commercial jets up to 150 seats. The company maintains industrial units, offices, service and parts distribution centers, among other activities, across the Americas, Africa, Asia and Europe.unb.